"A truly excellent strategies book! 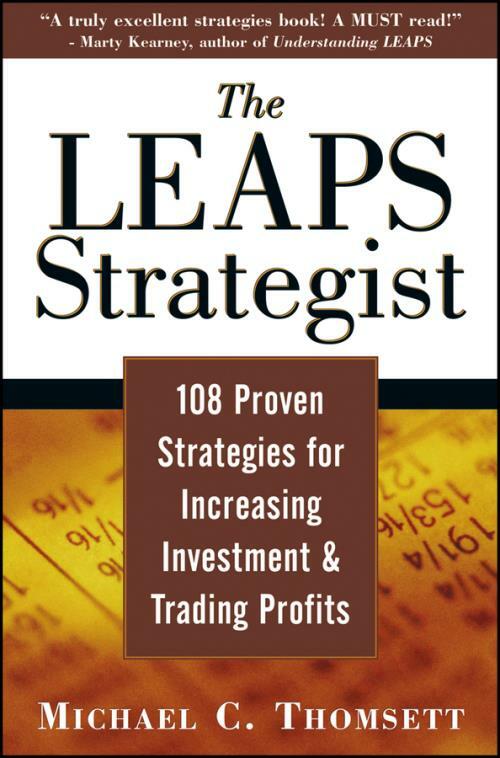 Whether you are a novice or an advanced options trader, Thomsett brings you a straight–forward example packed guide that outlines the limitless opportunities the world of LEAPS options can offer the thoughtful investor. A MUST read!" Unleash the power of Long–Term Equity Anticipation Securities (LEAPS) for increasing gains, limiting losses, and protecting your trading and investment profits. Whether you′ve traded LEAPS before –– or you′re just getting started –– this strategy–oriented guidebook is the place to start. You′ll find 108 powerful strategies –– explained in step–by–step detail. Each is supported by real–world examples, graphic illustrations and clear guidance on when, where and how to apply them. Discover how concepts are transformed into strategies that you can implement easily for a wide range of trading scenarios. This comprehensive handbook introduces you to the basics of LEAPS trading. From the amazing ability of LEAPS to significantly limit the risk of stock investing to their ability for hedging the market and providing profits in up or down markets –– you′′ll find an approach that works for you now and as your future investing goals change. Now is the time to familiarize yourself with every nuance and need–to–know fact for putting LEAPS to work for you. Find them all in The LEAPS Strategist.